Tis the season to over indulge, and if you're out tonight, you'll be looking for a hangover cure tomorrow morning. I have just the thing. 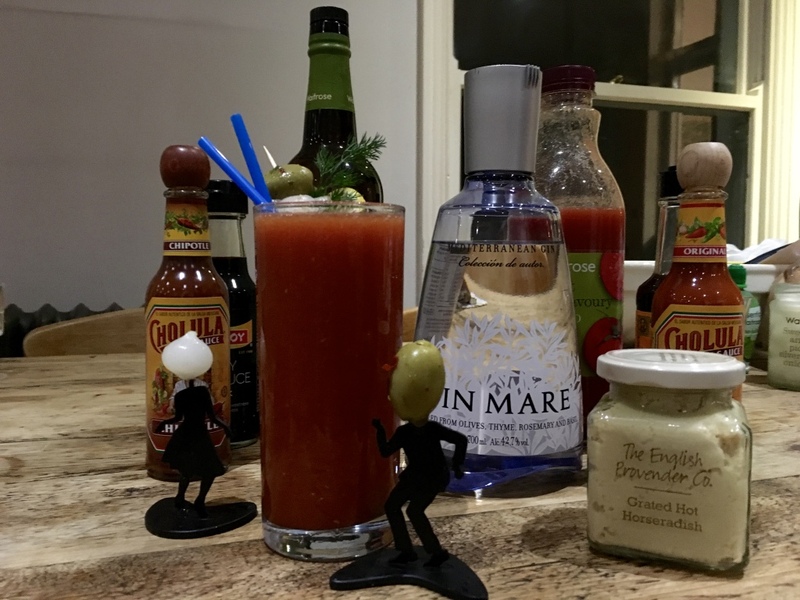 Introducing the 'Bloody Mare' In partnership with Celebrity Cruises and Waitrose, I was given a hamper full of exciting ingredients and the challenge of making a take on the Bloody Mary with Barcelona favourite, Gin Mare. Even if you have the 'worst hangover ever' you'll be able to put this together. This recipe is pretty simple if I'm honest. Just grab all the ingredients, and put in a cocktail shaker. Shake like a polaroid picture, grab a tall glass and serve. See, I told you it's that simple. Have a lovely NYE, and I'll see you on the other side. I'm back after a week off from Blogging. I tend to do this fairly often at the moment for various reasons, and I feel it really helps get me back into the swing of all things blogging! As you may remember from this post, I was invited by John Lewis to take part in their “Give with Love Campaign”; a twist on the seasonal classic, “Secret Santa”. I was given the task of choosing a gift from John Lewis for another blogger. That turned out to be the lovely Lyzi from Being Little. I spent the best part of a day on the John Lewis website, and checking out Lyzi's blog, Pinterest, Instagram and Twitter feed to see if there was anything she was wishing for, and finally chose a gorgeous watch by Olivia Burton. You can watch Lyzi's reaction to her present here. Now, on to my presents! I received these a few weeks ago, but only decided to open them last weekend as I wanted to do it as close to Christmas as possible! I'm not sure who sent me them as there was no note in the boxes, but they did well! So, big thanks to the lovely person who picked these out for me - I love them! My skin has been playing up over the last few weeks becoming very dry, irritated and stressed out, so I decided it was time for a little change to my skincare routine. Enter Sunday Riley's Blue Moon tranquility cleansing balm. After trialing the Good Genes product, and reading so many rave reviews about Luna Oil, I thought I'd give this one a whirl. This cleansing balm is a must for all the dry skinned people out there - If your skin is sensitive, stressed or affected from the change in weather, central heating and/or air conditioning then this balm will soothe and make angry skin look and feel calm. The balm itself is hard, and a little tricky to get out the pot if I'm honest but it warms onto the skin turning into a soft fluid. It lifts all your makeup including the hard-to-budge products, and is totally eye-friendly unlike other cleansing balms which I've found to irritate. The key ingredient is Blue Tansy Oil, a smurf-like blue colour - don't be alarmed when you open the pot for the first time, it will not turn you blue! You also have Chamomile, Cocoa and Moringa butter in there to help calm, nourish and hydrate your skin. To remove, you simply grab a warm damp face cloth and wash it off. What's more, it doesn't leave your skin feeling oily or greasy after. Now, as it's the festive season this will get your skin feeling a little Christmassy as well. Why? because it smells just like chocolate orange! Clementine Petitgrain, Vanilla and Tangerine have been added to the mix and OMG, it took me a lot of strength not to want to eat it just to see if it actually tastes like chocolate. I love a multitasking product as I feel like I'm getting more for my hard-earned money, and this product doesn't disappoint - as an added bonus, it can be layered on a little thicker and left for around 20 minutes as an amazing, super hydrating mask. If you're familiar with Sunday Riley, you'll know that the brand aint exactly cheap. This balm retails at £46 which, may have a lot of people switching off straight away. BUT, the pot is pretty big, and a little goes a long way. Maybe it's one for the Christmas list? For me, this product will be part of my daily routine from now on - I can't recommend it enough. It's the party season, and we all want to look our best - from our hair to our makeup, we want to get it right without having to spend a pretty penny on it all. For me, getting my nails done is one of the little luxuries I sometimes treat myself to. But, it can get expensive. There's a few at home gel nail kits out in the shops now, and a little dubious about them, I decided to try one out. The Red Carpet Ready Instant Gel Manicure kit has everything you need to get started. The kit contains a Pro LED light, buffing block, erase remover, Orangewood Sticks, removal wraps and a bottle of one step gel polish. Its easy to set up and use and is even small enough to store away. The polish dries in around 35 seconds underneath the LED light, and has the same look and finish as your nails would have if you visited the salon. The only downside for me was that the polish chipped and peeled off very quickly - I am pretty heavy handed but, when I've had gel nail polish at a salon, it has lasted up to two weeks without chipping. So, a handy kit to have at home but for me, it didn't last as long as a salon gel maicure. Maybe it's the way I'm doing it? I was sent this by the team at Louella Belle, but my opinions are as real as my nails. If you want to get someone something a little bit special, then look no further than my Luxe Christmas gift guide. 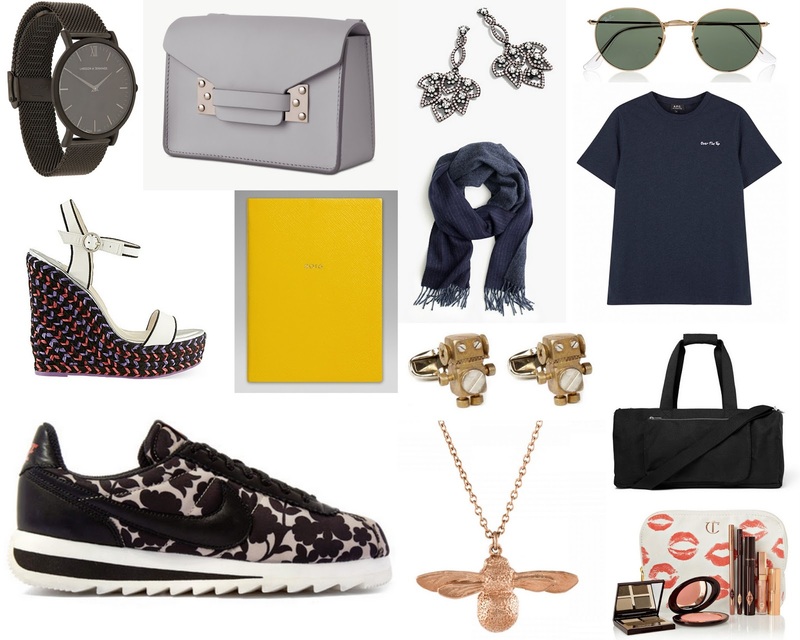 When it comes to spending that extra bit of money on your favourite person, I like to try and see some sort of practicality in the purchase - think cost per wear if you will! I've done a bit of research, and selected some lovely bits that are not just for show, but something he/she could wear or use all year round. 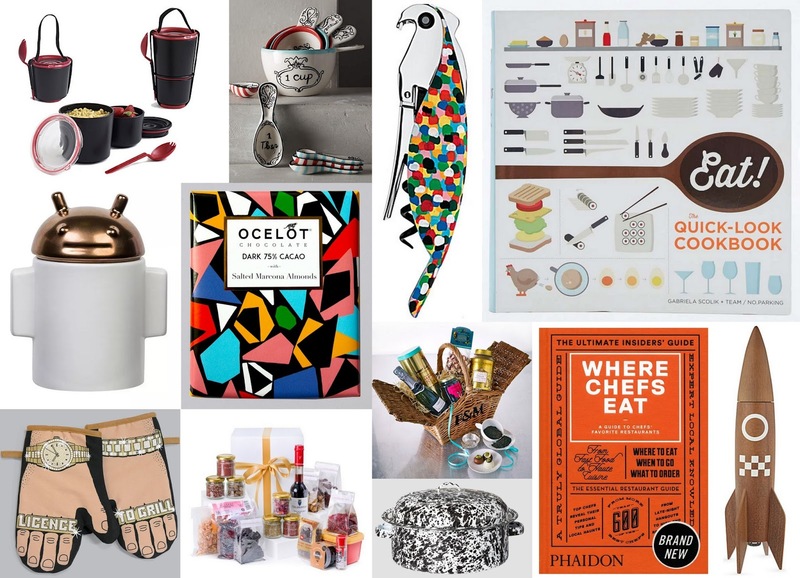 Another day, another post in my Christmas Gift Guide series. This one is for the people who love to spend time in the kitchen, or love a good bit of food. I've compiled a few bits that vary in price, are a little bit different than buying someone a tin of Quality Street (FYI, there is nowt wrong with Quality Street). As per, they're all available online - click on the links above and they will take you direct to the sites. 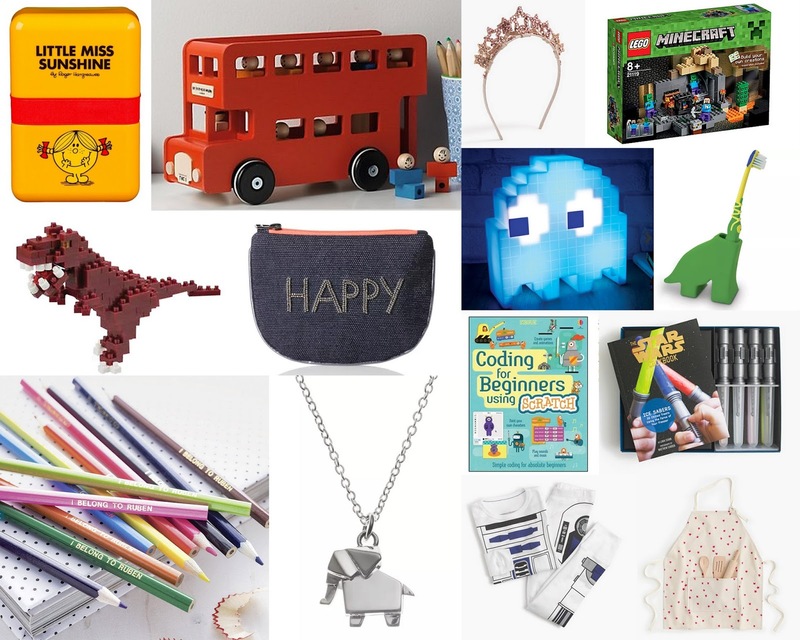 It is definitely the most magical time of the year for the little ones, and this post in my Christmas gift guide series is full of ideas for them. From personalised pencils, to a book on coding for children and how to make light saber ice lollies, I've got it covered for you. All available online and under £50. Happy shopping! The Christmas Party season is upon us, and I see that as a good enough excuse to purchase something snazzy to wear. The high street is chocked full of Christmas party outfit ideas, ready for the festive period. 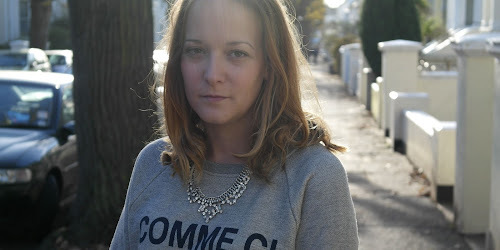 If sequins aint your thing, then I've got you covered - check out my favourite pieces above - just click on the item you like and it will take you to the site.